Below we introduce you to some of these wonderful regions but should you require more information please feel free to contact us. 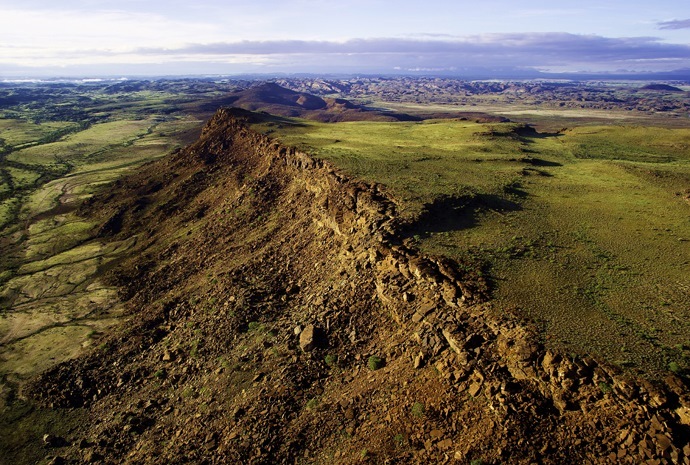 The rugged, rocky landscape of Damaraland in north-west Namibia is characterised by valleys and dry riverbeds that carve their way through deep gorges and ancient geological features. These rivers are ribbon-like oases that push through the most desolate of terrains and attract wildlife. The area is also home to around 1200 Nama, Damara, Riemvasmaaker and Herero people. Highlights of the area include the geologically fascinating Twyfelfontein World Heritage Site and the spectacular wildlife that abounds including including the famous desert-adapted elephant and black rhino. 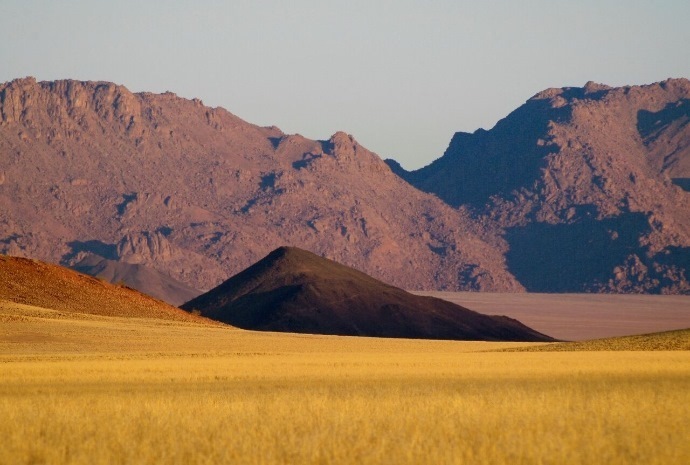 Between Windhoek and Etosha lies a region of gentle rolling hills, where many of Namibia's larger farms and ranches can be found – the Central Highlands. 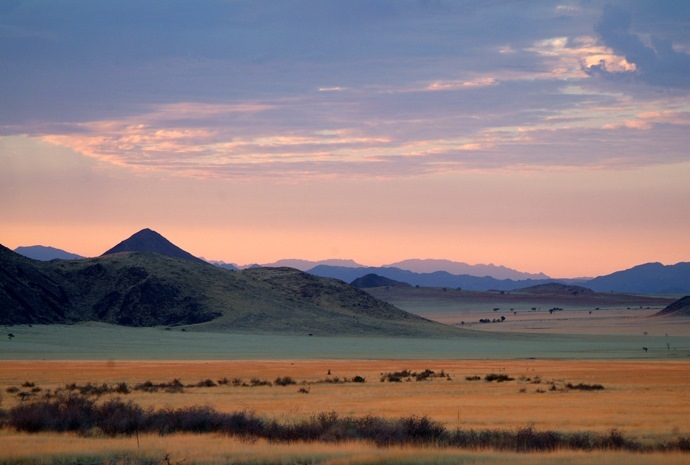 It is here that you will find the private Erongo Conservancy, it stretches over 2000 km² and encompasses over 30 landowners and their farms and lodges. The Erongo Wilderness Conservancy centres around the Erongo Mountains which consist of huge boulder and granite formations on the outskirts of an ancient volcano. They are bordered by the Namib Desert to the west and a mixed, woodland savannah to the east. This rare confluence of ecosystems is home to a vast array of plant, reptile, mammal and bird species, some endemic to Namibia. 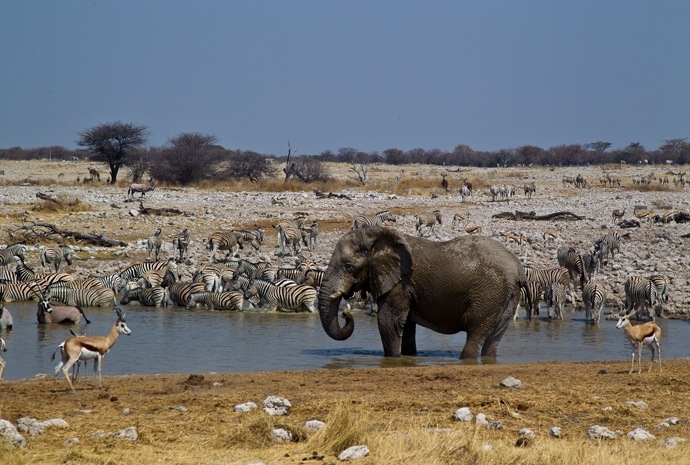 Etosha National Park is famed for its huge saltpan covering some 120 km (75 miles) across and 55 km (31 miles) from north to south. Its edges give way to a surprising variety of vegetation types and – critically – a series of springs and waterholes that at attract a vast amount of wildlife. The saltpan at Etosha is a vast white surface that is said to be visible from space! Situated halfway between the Windhoek and Etosha National Park, you will find the 55,000 acre Okonjima Game Reserve. Okonjima not only offers some of the best accommodation in Namibia, but is also home to the renowned AfriCat Foundation. The AfriCat Foundation's main focus is conservation through education, researching carnivores & rehabilitating captive cheetah. AfriCat has saved more than a 1000 carnivores since 1993 with nearly 90% being released back into the wild! 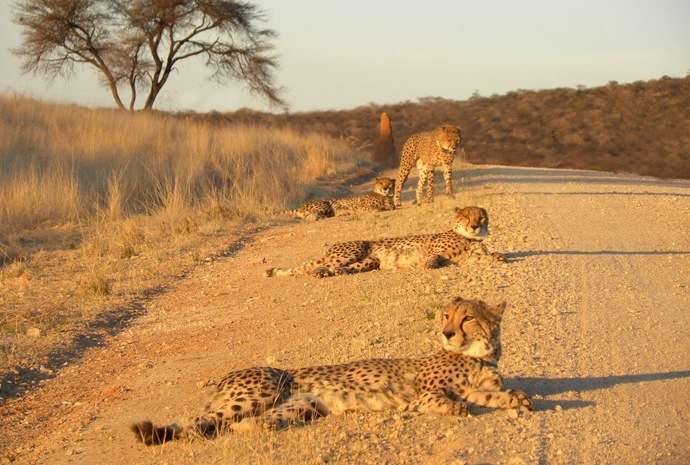 Okonjima is a family-run business. Wayne, Donna and Rosalea Hanssen who co-own and live on the property, bought Okonjima from their parents in 1993 turning, the then, cattle farm into a conservation project. 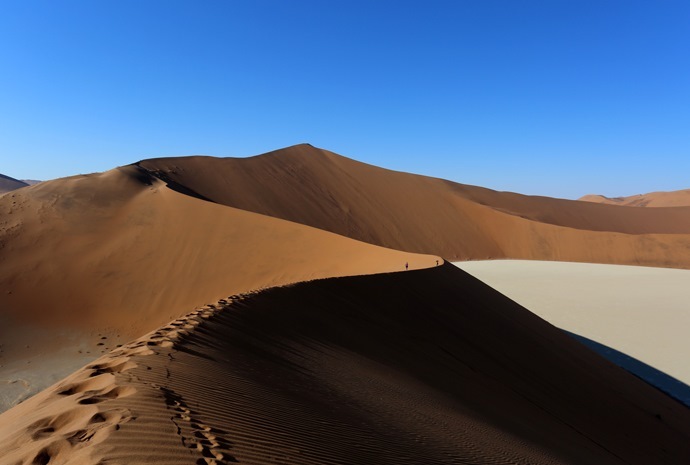 Sossusvlei represents the classic view of the Namib Desert of an ocean of sand, ‘waves’ that are made of bright red sand and dark shadows. 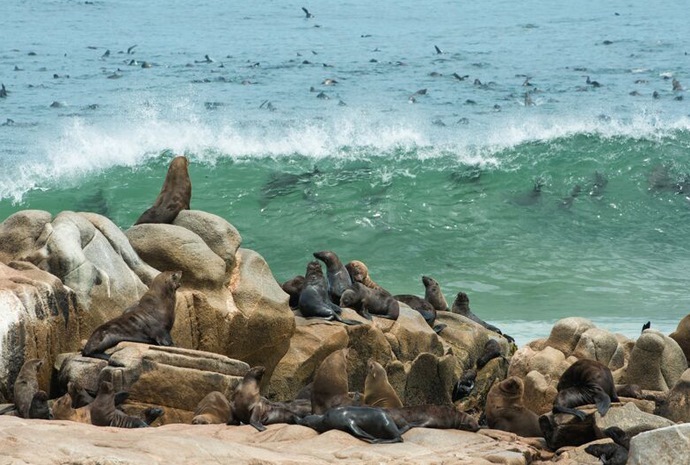 Known as the ‘Sand Sea,’ it is sandwiched between the Atlantic’s cold Benguela Current and a rocky mountain escarpment that runs parallel more than 100 kilometres (62 miles) inland. Highlights here include the moon-like pans are flanked by some of the world’s tallest dunes and Sesriem Canyon which is a cool, moist place in a barren and stark environment. Despite low rainfall and lack of vegetation, the desert is filled with wildlife, both predators and prey. Steeped in Germanic history and almost like a quaint European outpost on the west coast of Africa,Swakopmund is Namibia’s second biggest town and is flanked by the vast Namib Desert on one side and the Atlantic Ocean on the other. With a collection of Bavarian buildings, a surprising amount of greenery with many palm-lined streets, flower gardens and lawns, it makes for a pleasant resting spot and strategic base during your safari itinerary, but is perhaps mostly known for being a hub for adventure sports enthusiasts and the country’s main beach resort.